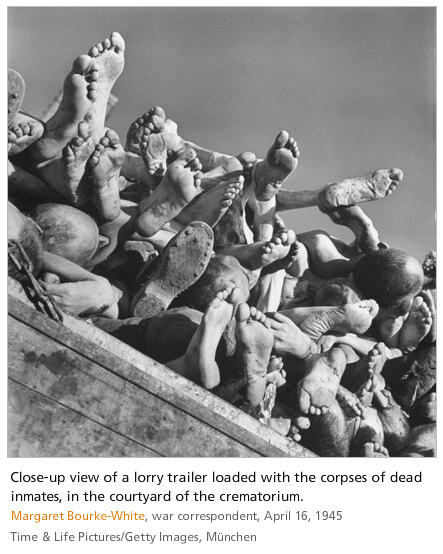 Bourke-White said, "I saw and photographed the piles of naked, lifeless bodies, the human skeletons in furnaces, the living skeletons who would die the next day... and tattooed skin for lampshades. Using the camera was almost a relief. It interposed a slight barrier between myself and the horror in front of me." 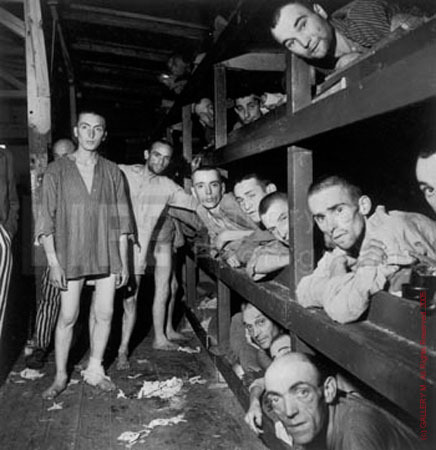 Communist prisoners at Buchenwald, April 15, 1945. 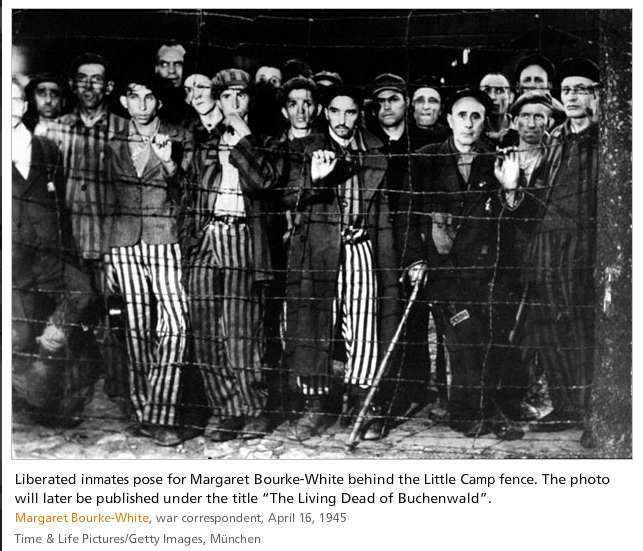 Margaret Bourke-White's famous photographs at the liberation of Buchenwald. 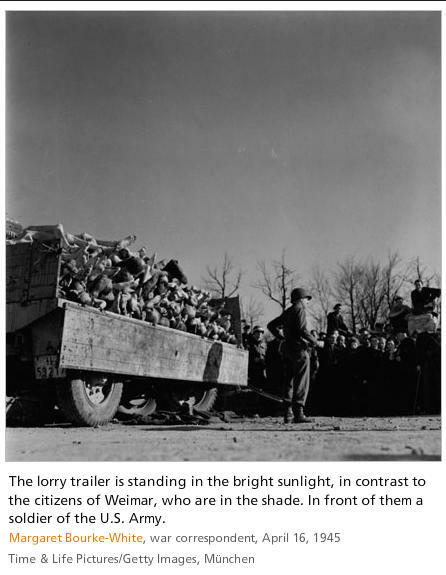 Life magazine photographer Margaret Bourke-White prepares to take a photograph of a wagon piled with corpses in the newly liberated Buchenwald concentration camp. Lieutenant Colonel Parke O. Yingst was born in Hummelstown, PA in 1908. In 1930 he graduated from the Colorado School of Mines and joined the Army Corps of Engineers as a reservist. He subsequently went to work in Venezuela. During this period, his reserve commission expired. 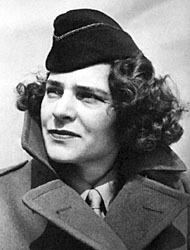 After returning to the United States in 1940, Yingst applied for recommissioning so that he could join the fight against Hitler. In 1942 he was ordered to active duty as a First Lieutenant in the Army Corps of Engineers. On April 4, 1944 he was promoted to Major, and in July, he assumed command of the 281st Engineer Combat Battalion. 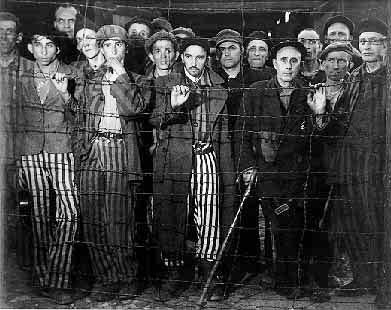 In April 1945 Yingst was present at the liberation of the Ohrdruf and Buchenwald concentration camps. He was eventually promoted to Lieutenant Colonel prior to his separation from the army for medical reasons. Photographed by Colonel Parke O. Yingst. 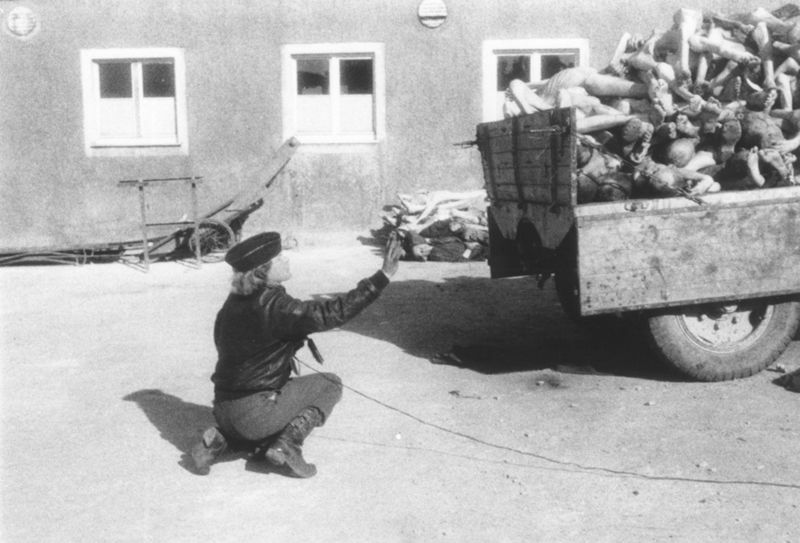 Buchenwald, [Thuringia] Germany, April 1945. 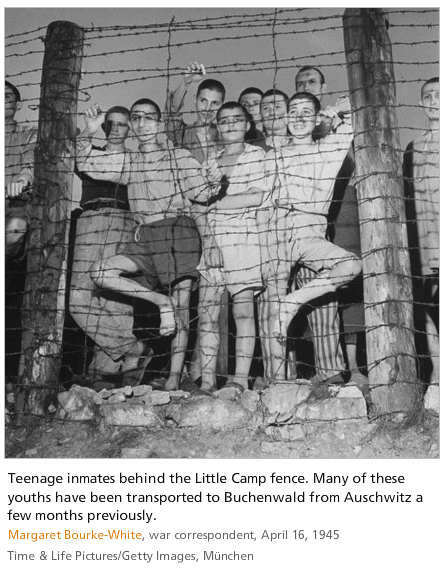 United States Holocaust Memorial Museum, courtesy of Patricia A. Yingst.